Reliable grinding disc ideal for low-powered machines. 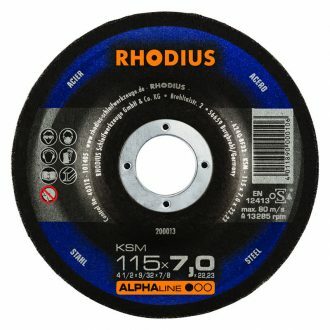 The Rhodius 115mm Grinding Disc KSM provides comfortable grinding, good stock removal and a long lifetime. 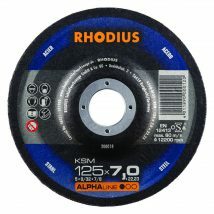 It is ideal for grinding steel applications and is best suited to low-powered machines. 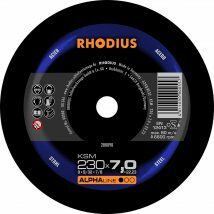 The Rhodius 115mm Grinding Disc KSM is part of the ALPHAline series. 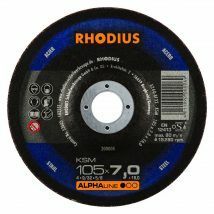 ALPHAline products are reliable grinding tools with an attractive price-performance ratio for the price-conscious expert.